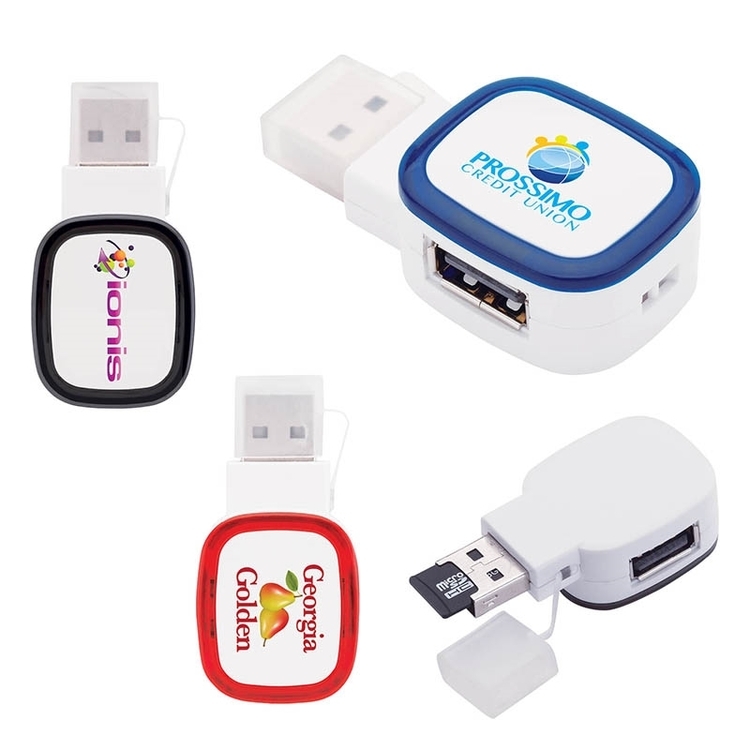 Connect up to 4 devices using 1 USB port with this unique and compact item. 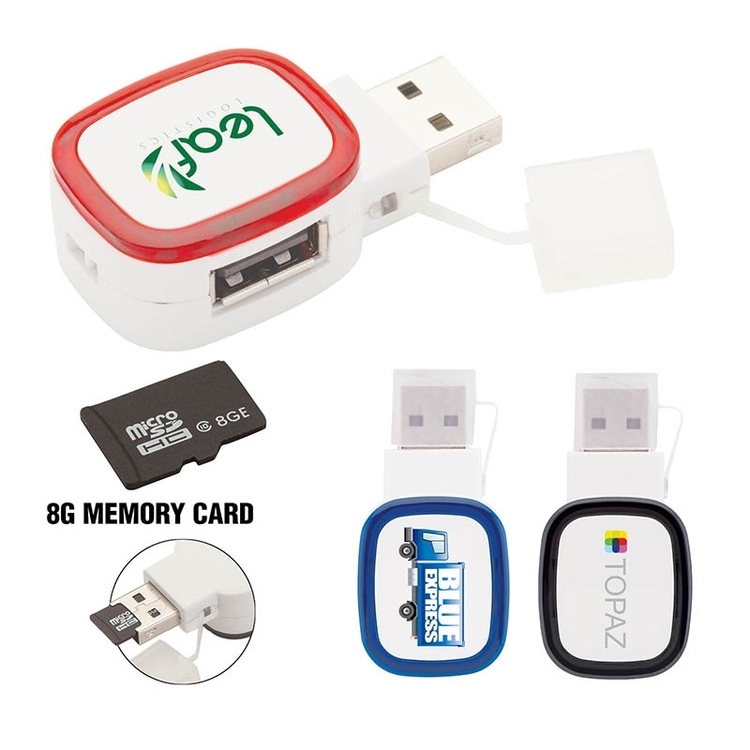 Works with all smartphones, tablets, computers and more! 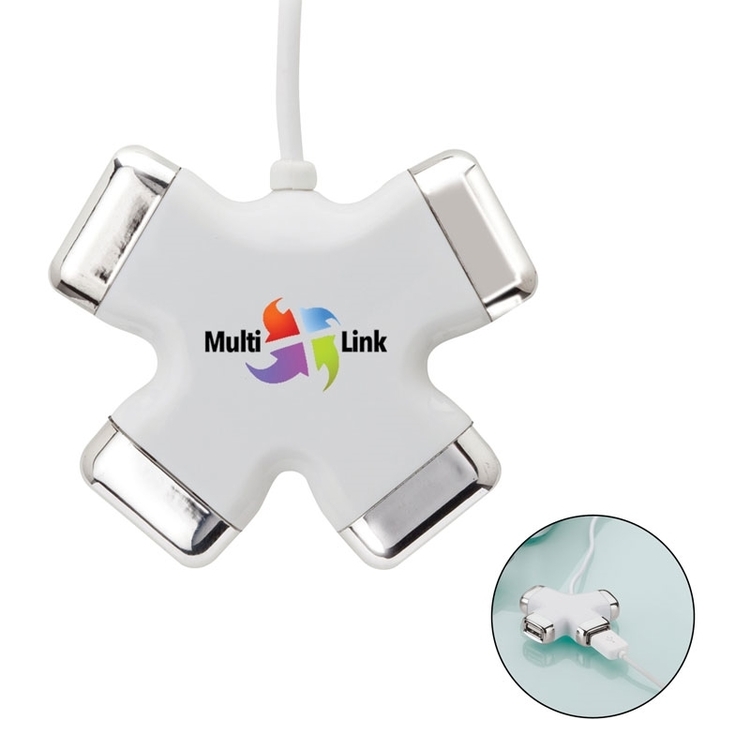 Cable seamlessly wraps around hub when not in use, making storage and traveling with this a breeze. Input: 5V 500mAh/Output: 5V 500mAh. 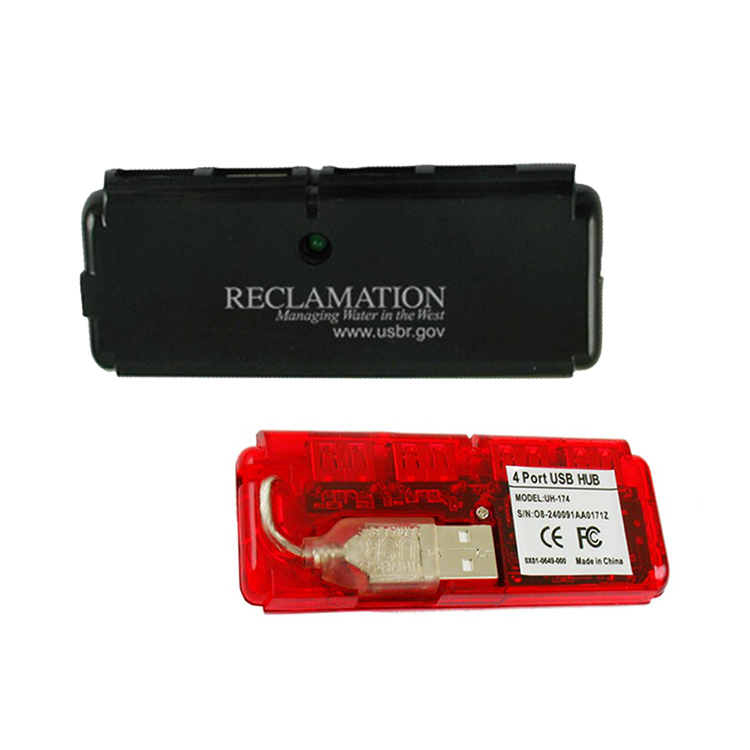 Contains an intelligent IC chip for full protection of overcharging, over discharging, overloading, short circuit and high temperature protection. 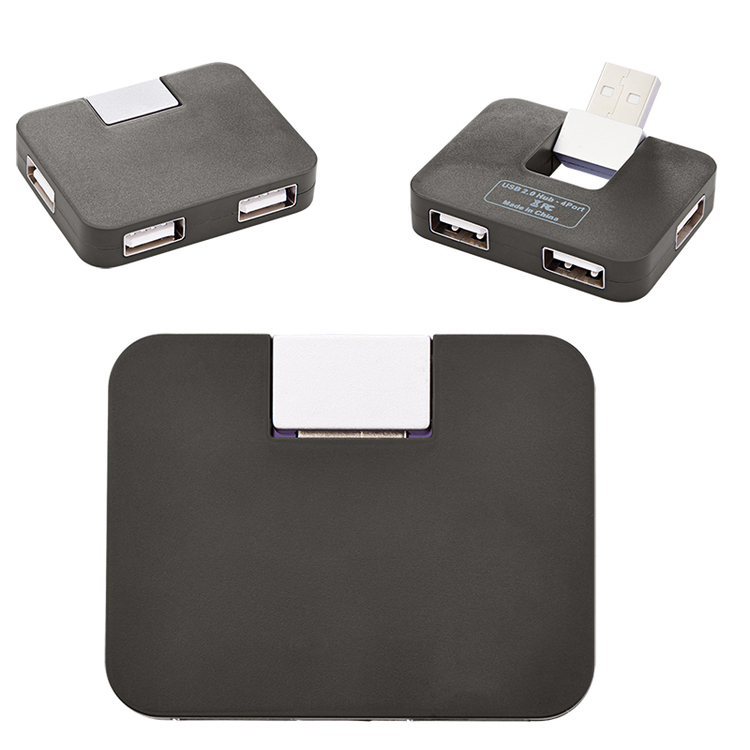 The USB Hub 4x is a convenient and compact way to use more USB ports than your computer has available. 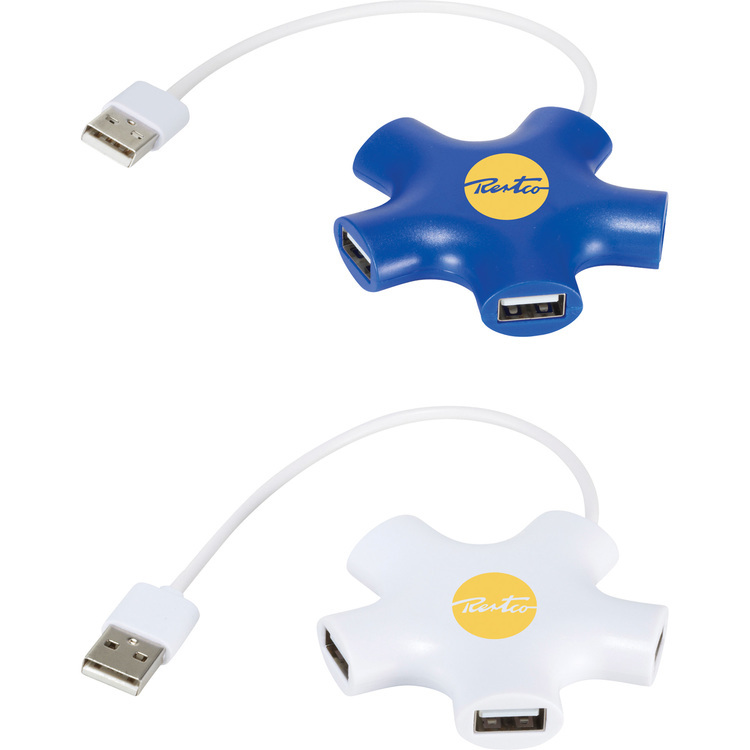 Connect up to four electronic devices to your laptop or desktop all at once and with the 3-foot long cable, you'll never have to climb under your desk to plug something in. Charge your phone or MP3 player and access your external hard drive all from one sleek aluminum hub. 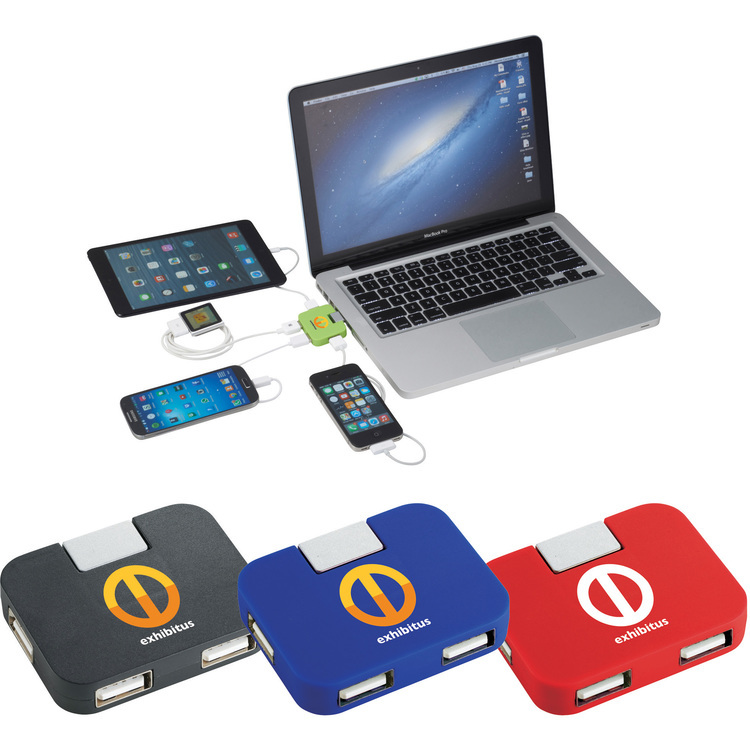 Pull the plug on clutter and get organized with this multiport USB charging station. 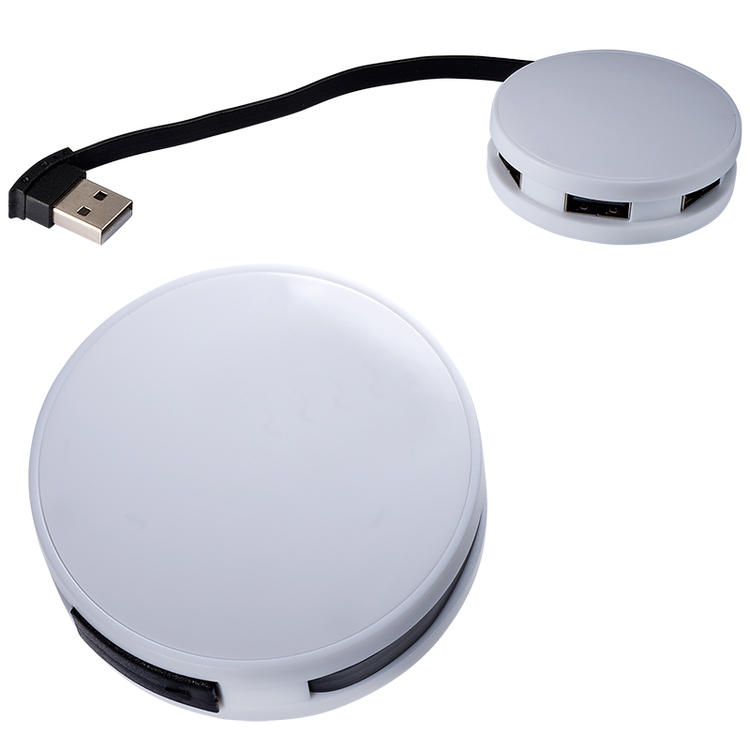 Connect up to five devices in one central location. Offers two quick charge slots and will put your worries at ease with built-in short circuit and surge protection. Light weight with a vertical space-saving design, Perfect at home, work, or on the road. Ultra-Compact 4 port hub with zip-pouch for storage. Metal top for elegant look. 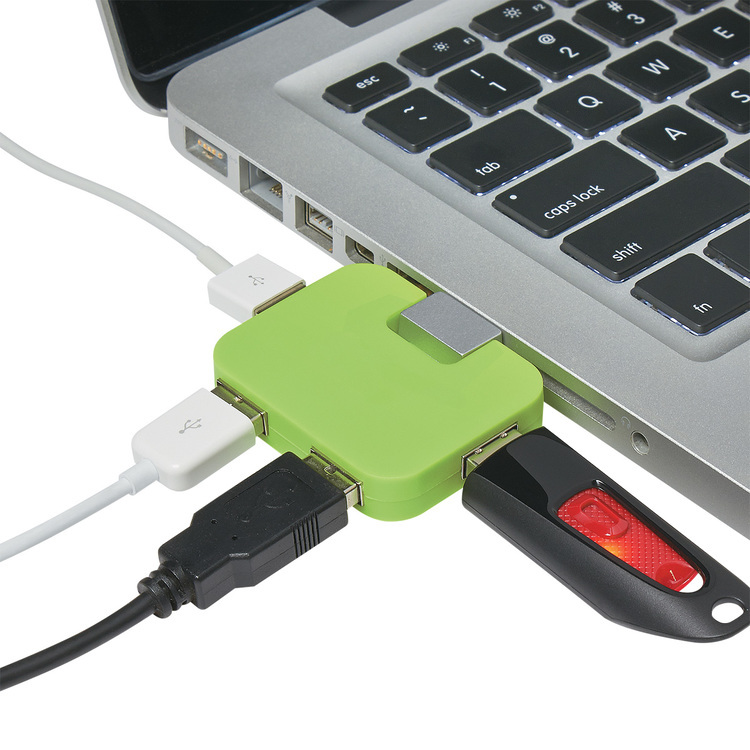 Great for travel and use with laptops. Optional Full-Color Epoxy Dome. 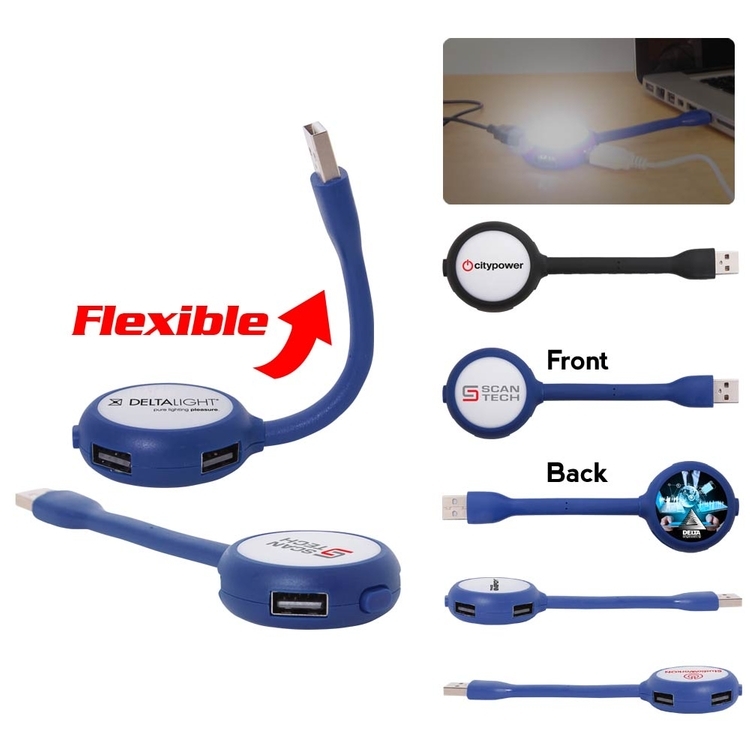 This unique new 4-Port USB Hub provides much needed extra ports on your computer while also adding an LED booklight for important paperwork or to light up the area around your laptop. The LED Light has an on/off switch so you choose when you want it on. Perfect for this late work nights. 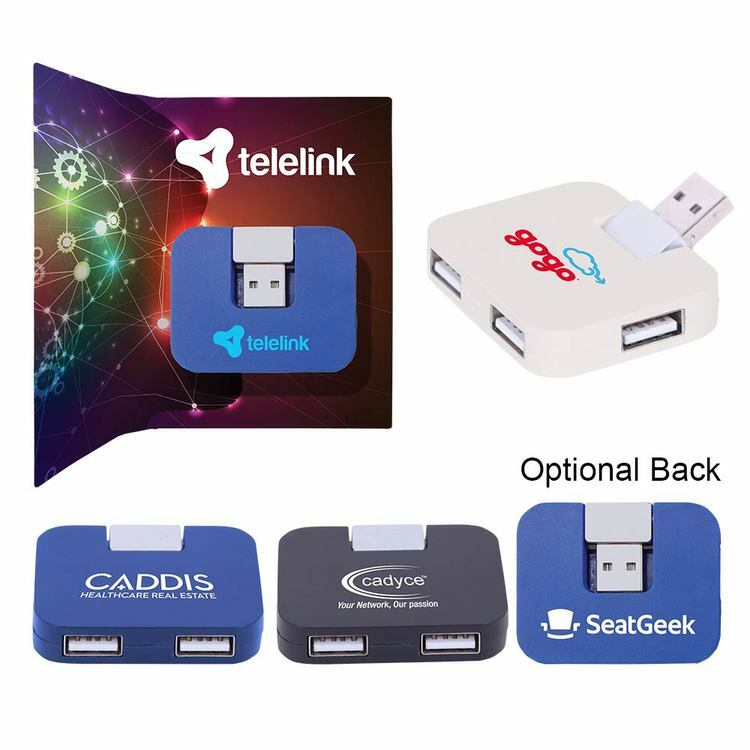 Connect up to four devices using one USB port with this unique and compact data transfer hub. 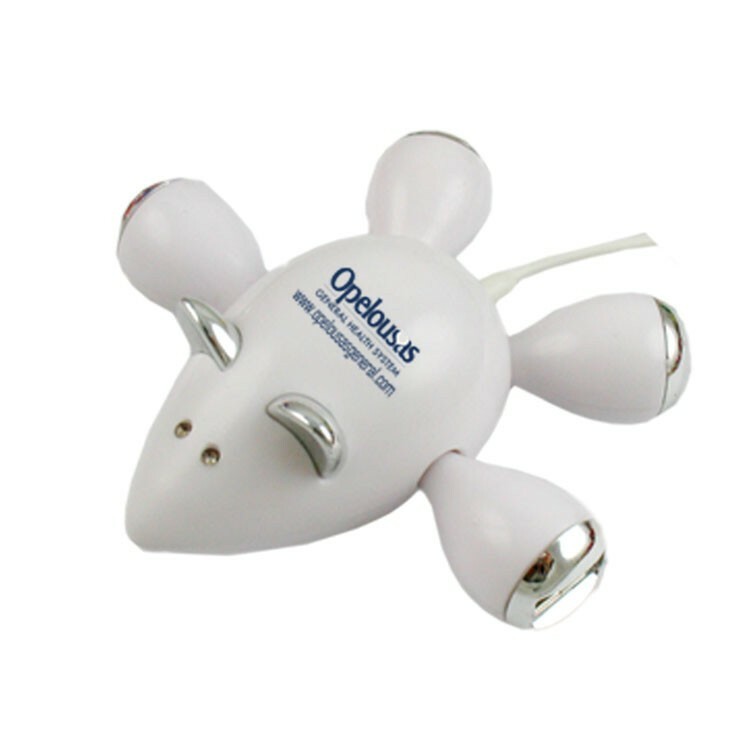 Light up your work area with the bright LED light. 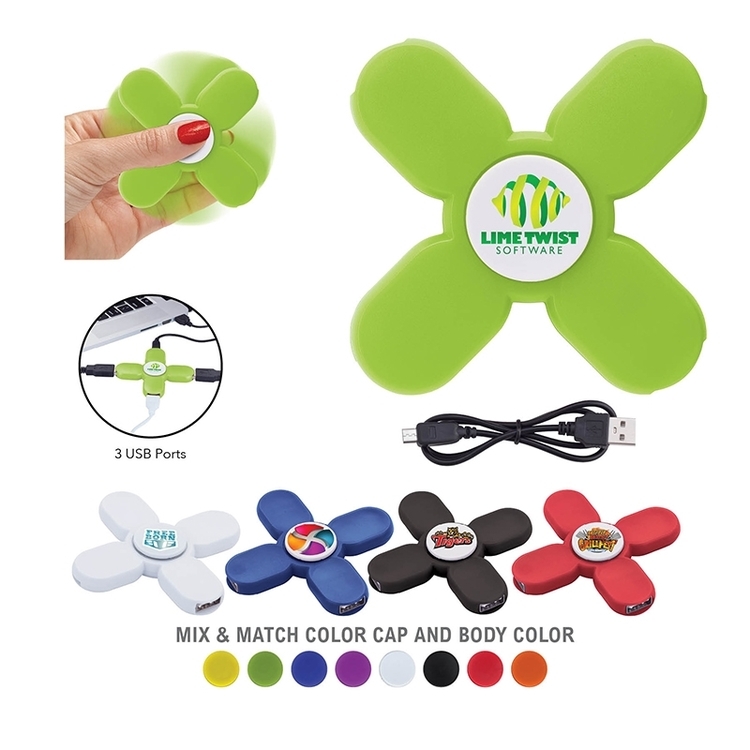 Works with all smartphones, tablets, computers and more! 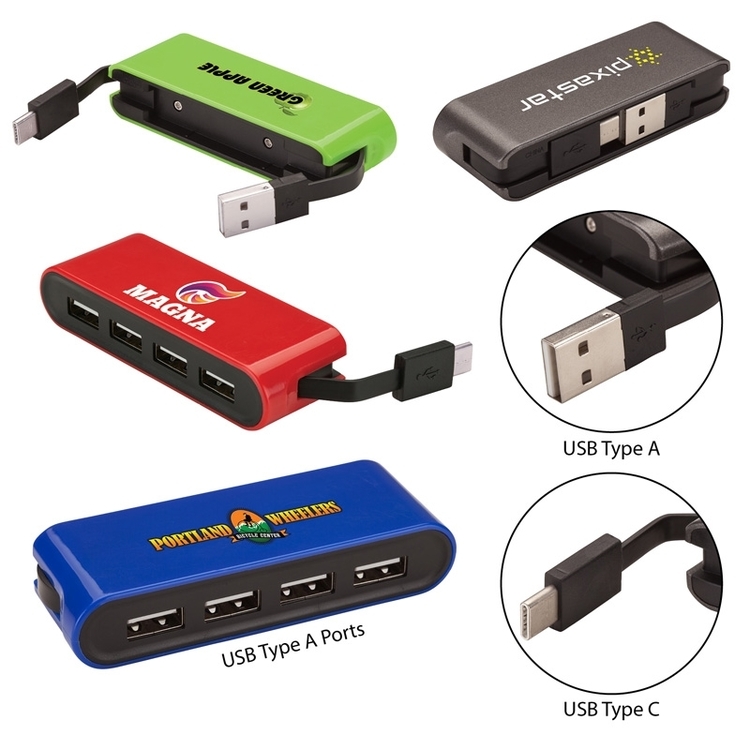 4 port USB 1.1 HUB. 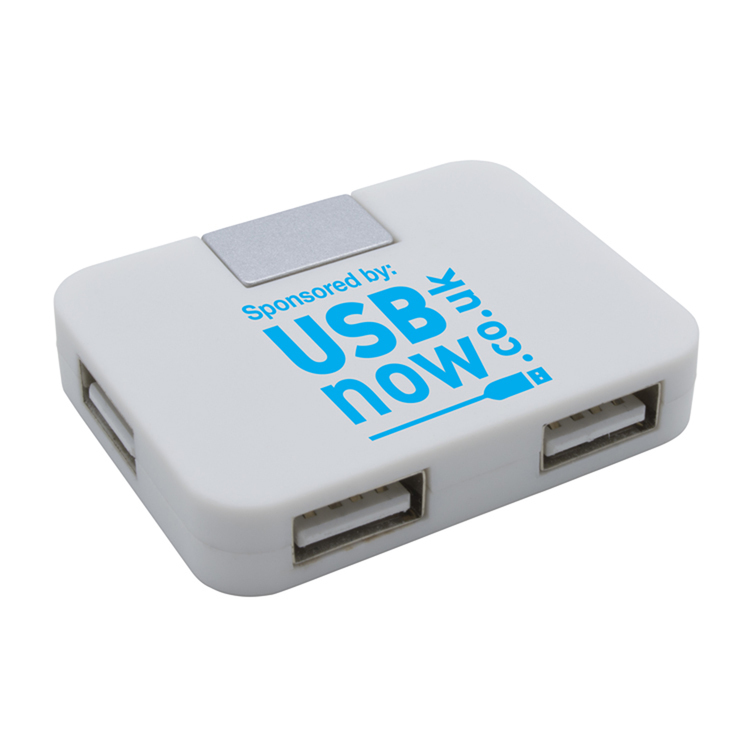 Connect to any USB port for Windows, Linux & Unix systems, not for new iPhone. 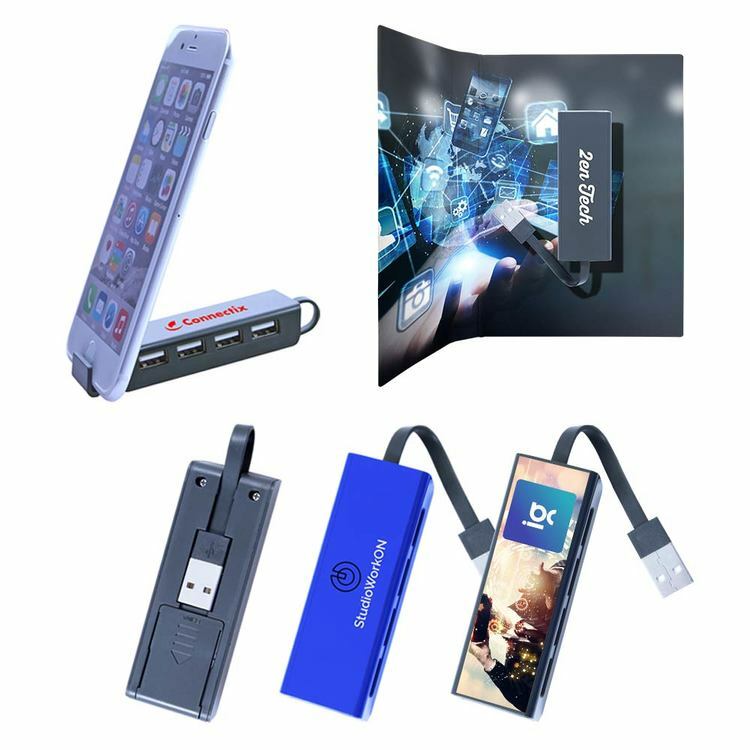 Ideal for traveling, schools, home & office use. 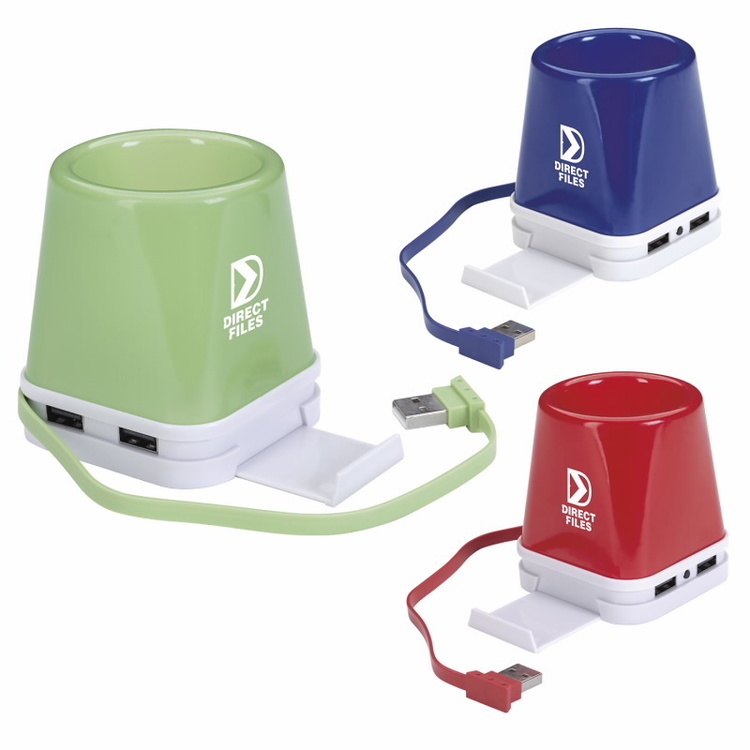 • Connect up to four USB devices to your computer. • Folds down to a convenient size for easy portability. • Swag Book does not include product. 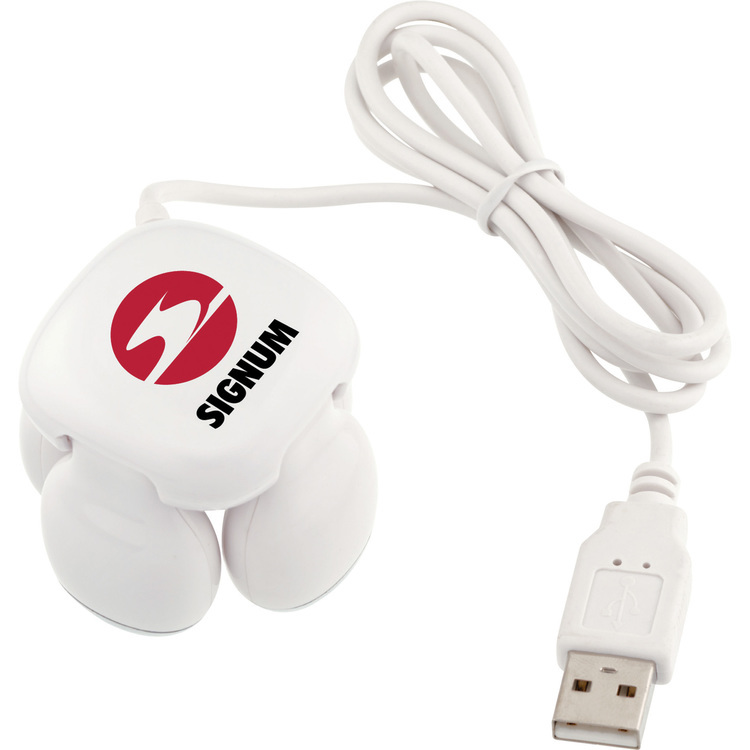 Mouse shape 4 port 1.1 USB HUB. 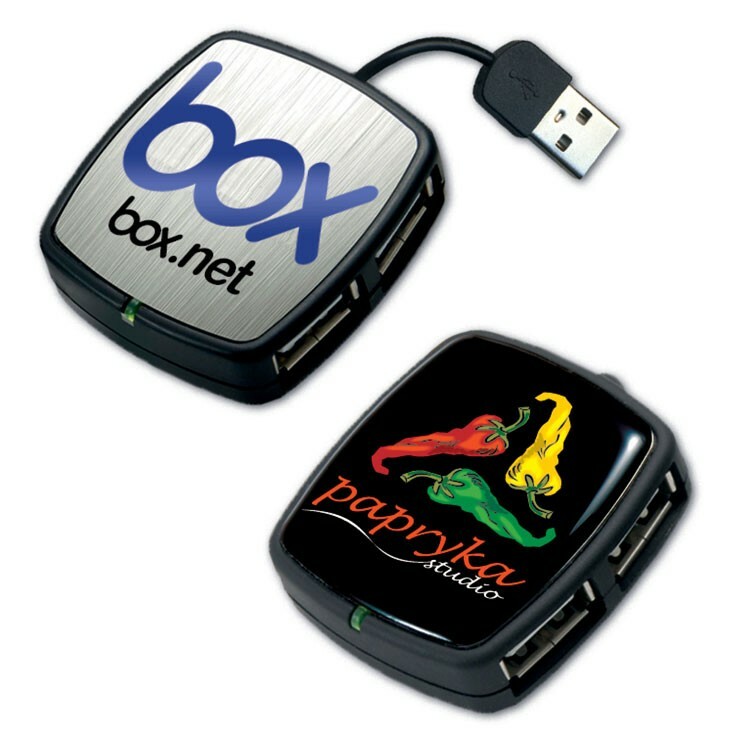 Connect to any USB port. 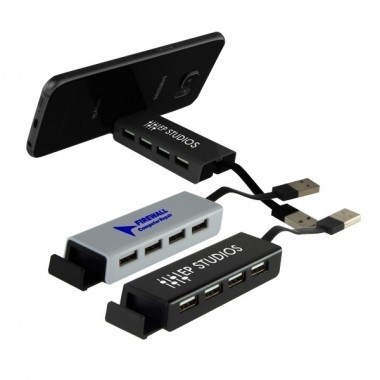 4-port 2.0 USB hub. 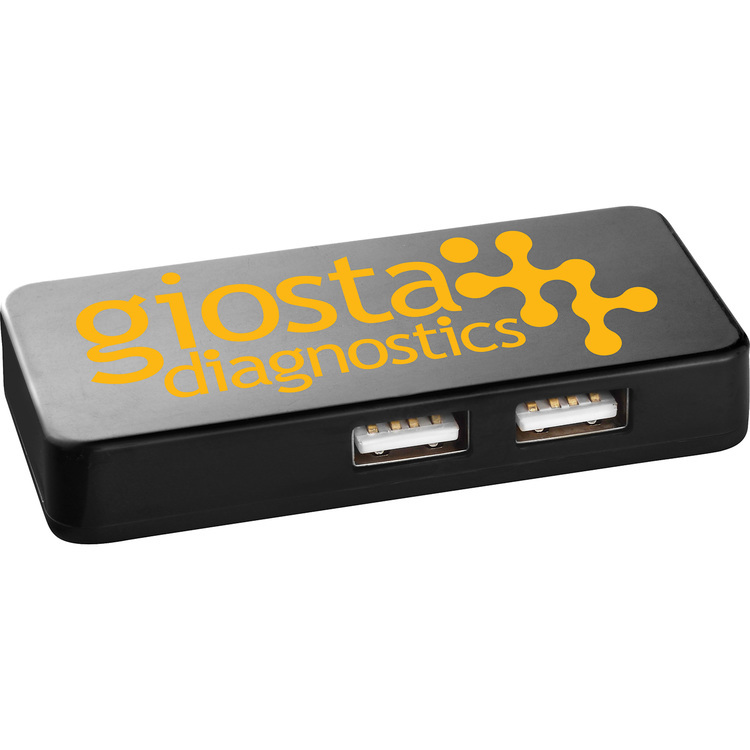 Compatible with any USB port. USB cord extends 7-1/4". Media device not included. 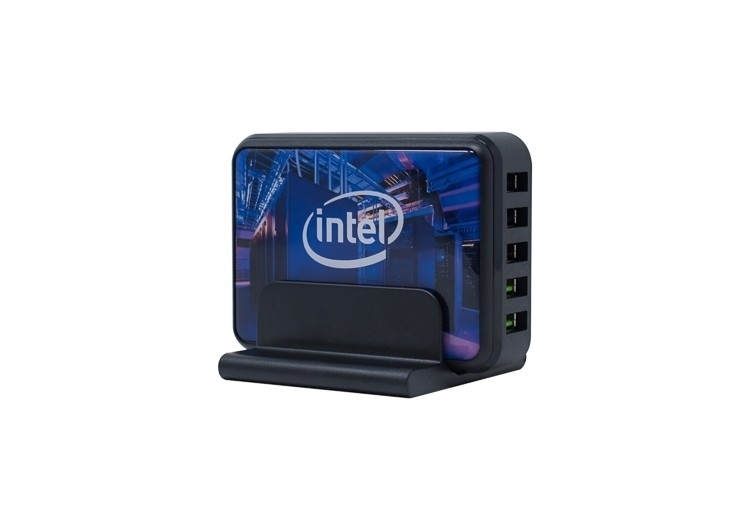 4-port 2.0 USB hub. 30" cord. Foldable design. Plug and play technology. 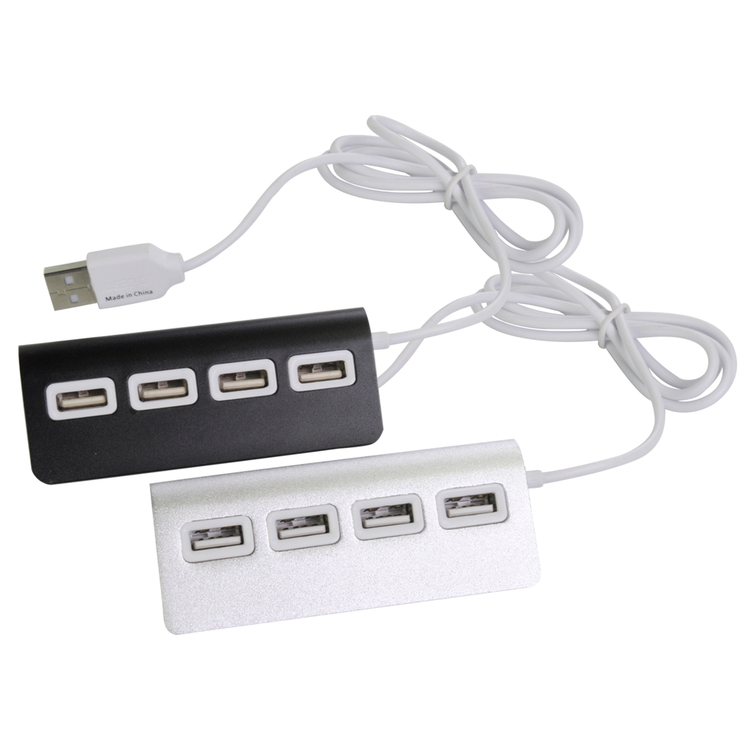 USB hub features 4 USB ports and attached transfer cable. 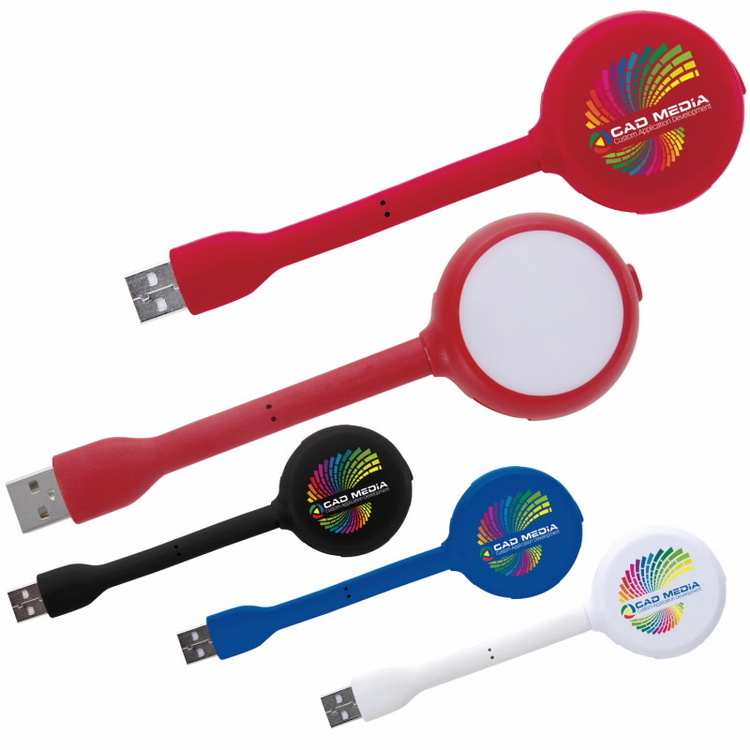 Includes integrated stand that extends from end and can accommodate most smart phones and tablets. Item charging via computer USB port only. Individually polybagged. 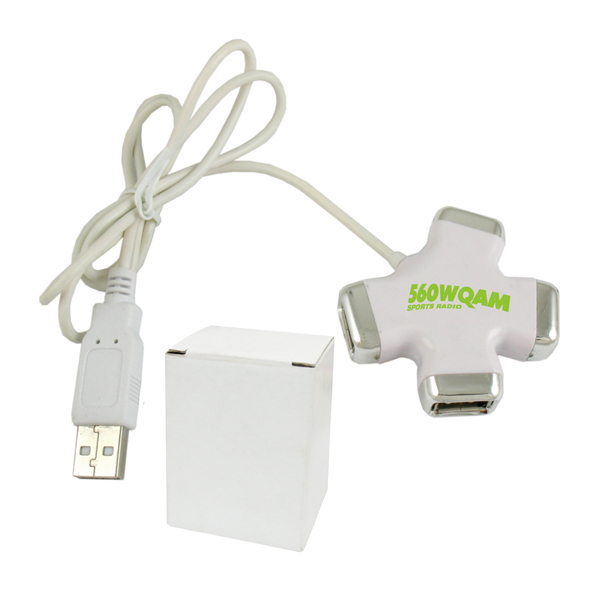 4-port rectangular USB 2.0 hub with foldable input port. Media devices and cables not included. 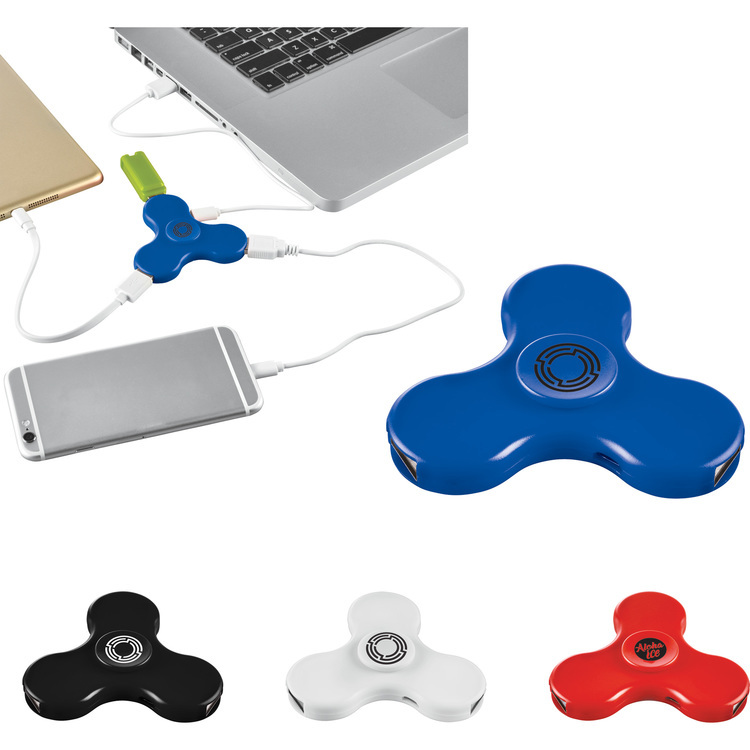 3-port compact USB 2.0 Hub features as a Spin-It Widget™. Perfect for office usage. CPSIA Compliant. 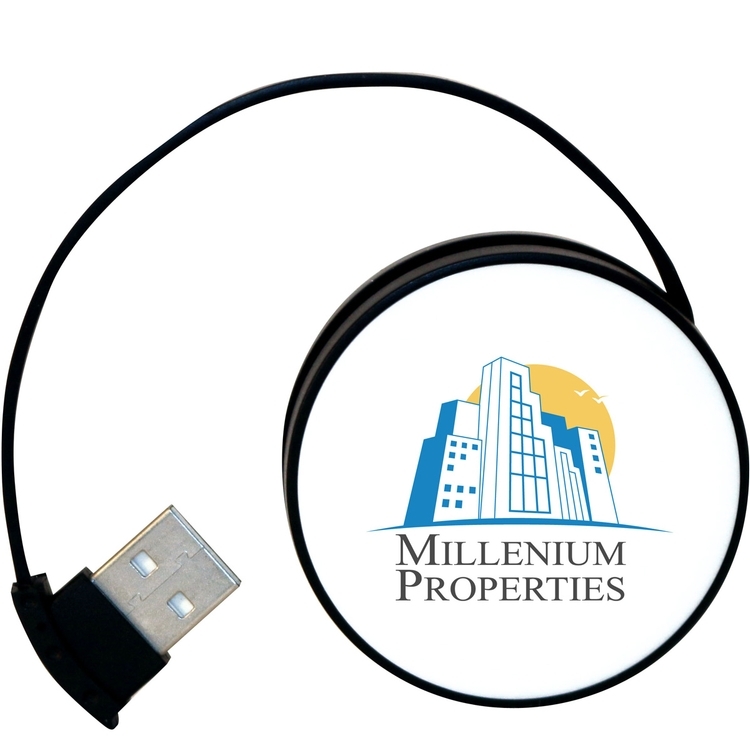 Power / Technology: USB 2.0. 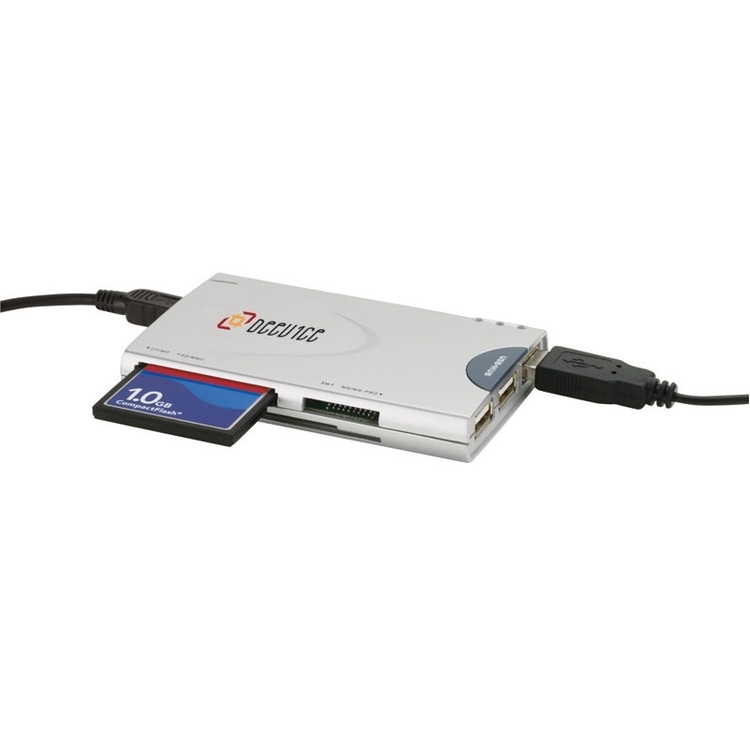 Supports Windows 95/98/2000/XP, Linux 2.4, and Mac OS 8.5 or higher. The Grid USB Hub with Dual Cables is a 4-port compact USB 2.0 hub that comes with two charging cables, a standard USB cable and Type C cable. It's also compatible with most laptops.